Get a FREE $25 Gift Card #998-MEG25 when you purchase 2 Mickey Thompson Sportsman PRO Tire 26X10.5-15LT! 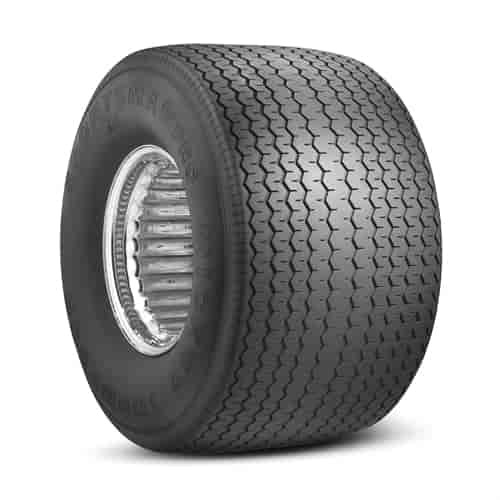 Hoosier 17100QT - Quick Time DOT Drag Tire Size: P275/50D-15"
Im confused- you say its the widest legal tire avalible but the overall width is only 10.5?? Am i missing something? i have a 15x10 rim would this fit it ? Will these tires fit a stock grand NATIONAL rim? Do I need a inner tube? The recommended rim width for the tire is 8&quot;. The Grand National came with a 7&quot; rim stock size. The tire will fit on the rim, but you will need to check the tire clearance in the fenderwell closely.